Hi all, just wanted to check in and let you all know that I have just purchased a 1945 HG and am starting the process of restoring it. Been getting some parts from Zimmerman and they are such good to work with. Brand new to this site but hope that I can get some good info and possibly help with some. 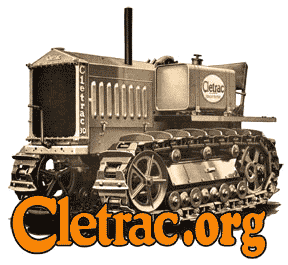 Been restoring old tractors for 30 years and just got my first Cletrac..